The City of Kearney has approved a future one-half mile project to improve a portion of Hwy 30, known as "College Curves." The project will begin at 6th Ave and extended west to 12th Ave. Improvements will increase safety and mobility by removing left turn lanes, relocating pedestrian signals and other proposed changes. 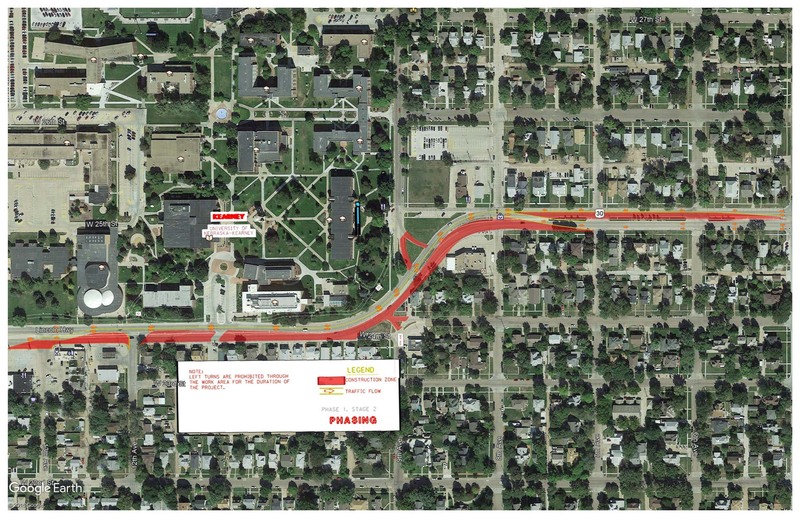 UNK and City of Kearney have partnered on a traffic study to consider how to improve the intersection of 9th Avenue and Highway 30. This information has been part of initial discussions with Nebraska Department of Roads concerning how to improve safety at this intersection. Road work is scheduled to begin in 2019.